The ETF welcomes the decision of the Romanian National Council for Combating Discrimination on 3 June 2015. The Council has found Wizz Air guilty for dismissing 19 staff members due to their affiliation to “Aerolimit Professional Union”. In its decision, the Council stated among others that the termination of the labour contracts of the union members was discriminatory and more importantly, this discrimination had the intention to stop the union movement, which is an extremely serious offence. Finally, Wizz Air Hungary Kft. has been ordered to pay a fine of 25,000 RON (approx. € 6,000) and publish a summary of this decision in the national media. At the end of 2014, shortly after Wizz Air had been notified about the Aerolimit Professional Union constitution, its leader, Mircea Constantin, was dismissed. In December 2014, in collaboration with LabourStart, the ETF and ETUC launched an online campaign in support of the Wizz Air workers and union leadership. This campaign gathered nearly 10,000 signatures. On 19 March 2015, Romania’s Ilfov court ordered Mircea Constantin’s reinstatement. According to the court decision his dismissal was illegal and the company had to reinstate him. In addition, Wizz Air was liable to pay compensation equal to his salary. 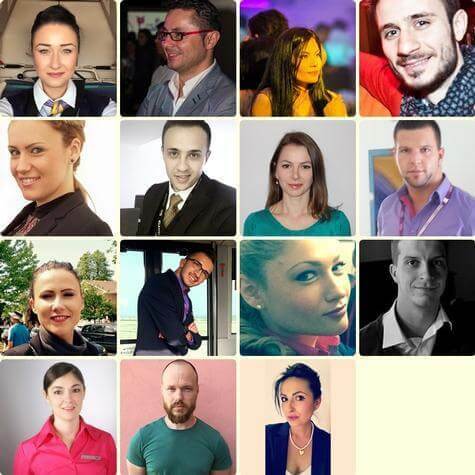 Soon after Mircea Constantin was laid off by Wizz Air, 19 union members were also dismissed. Their trial is scheduled for 15 July at that same Ilfov County Court.